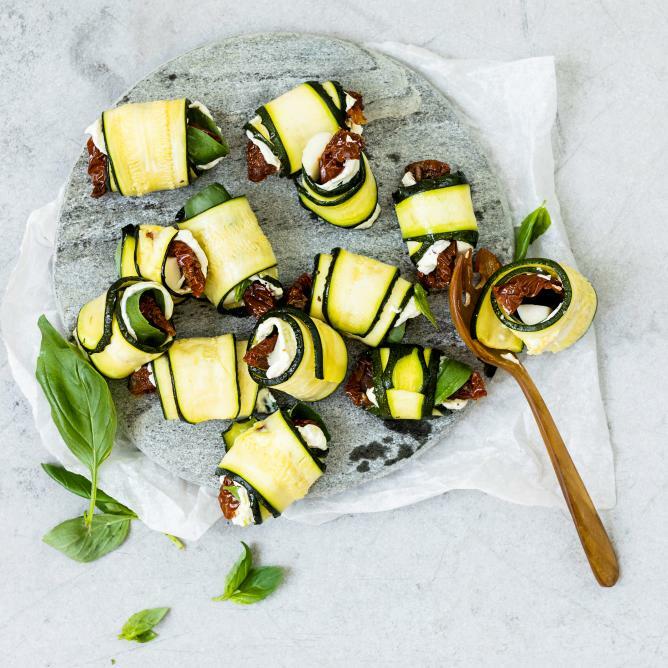 Place the courgette slices on a baking tray lined with baking paper, brush both sides with oil, season. Bake for approx. 10 mins. in the centre of an oven preheated to 220°C. Remove the courgette slices, allow to cool slightly. Spread cream cheese over the courgette slices, top each slice with 1 basil leaf, 1 piece of tomato and mozzarella. Roll up the courgette, secure with toothpicks.